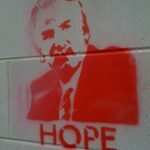 As almost everyone in the hockey community has heard, Blackhawks’ bench boss, Joel Quenneville, was fired recently after starting off this season at 6-6-3. This is a shock. 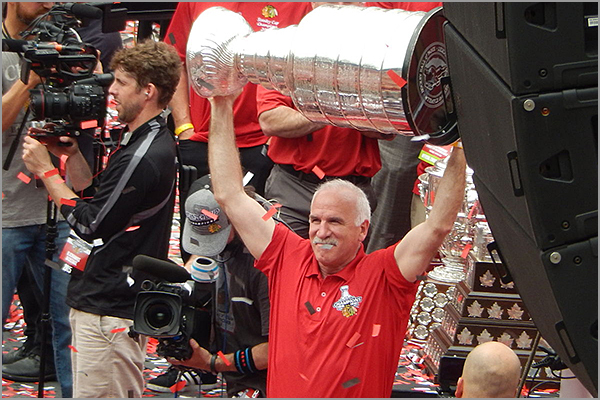 Not only has Quenneville won three Stanley Cups as the head coach of the ‘Hawks, but he is also the second-winningest coach in NHL history. Guys like him don’t get fired, they almost always get to go out on their own terms. It’s no secret the Blackhawks have been on the decline over the last few seasons, having missed the playoffs last season for the first time under Quenneville and having not made it past the first round since they won it all in 2015. That’s just what happens in the salary cap era, you can’t sustain greatness for long, especially when you give out big contracts to star players (deservingly), making it difficult to fill other needs. I’m sure Quenneville will be behind the bench somewhere else next season. Many think he will return to St. Louis to coach the Blues, where he spent his first eight years as the head man. Nevertheless, it’s hard to think that Coach Q won’t be in the Hall of Fame when it’s all said and down, whenever that ends up being. In this era of pro sports, rivalries have shifted from a team-focused to player-focused. 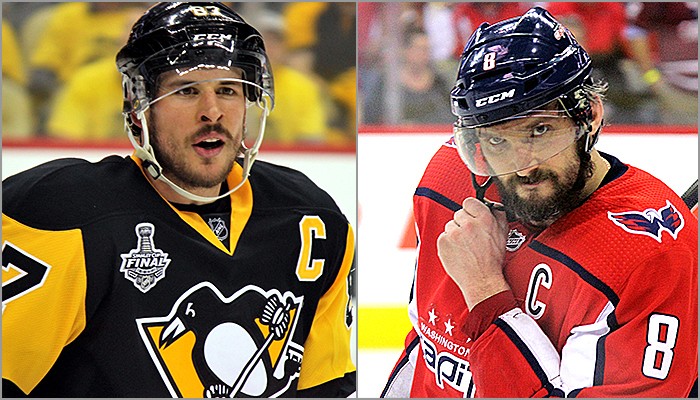 None of those rivalries in hockey are bigger than Sidney Crosby and Alex Ovechkin. Obviously, that started with the hype they received as they came into the league. Both players were drafted number one overall, in consecutive years, and they broke into the league the same season after the lockout. They both lit up the league immediately, scoring a combined 208 points in their rookie season. Now, 13 years after their first games, we can look back and see the hype was justified, and the two have been a part of many memorable games and series since; many of those being conference semifinals rounds, where the winner of that series went on to win the Stanley Cup each time. Four times to be exact. This week featured the latest installment of the rivalry. Although it might not be as exciting in the regular season, Wednesday’s matchup was no snooze fest. 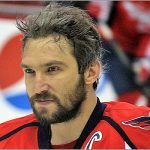 Both Crosby and Ovechkin scored opening goals for their respective team. But, it was T.J. Oshie that notched the game-winner late in the third period. Even with Pittsburgh surprisingly lagging in the standings. It does make me excited for the next meeting between the two teams on December 19th in Washington. 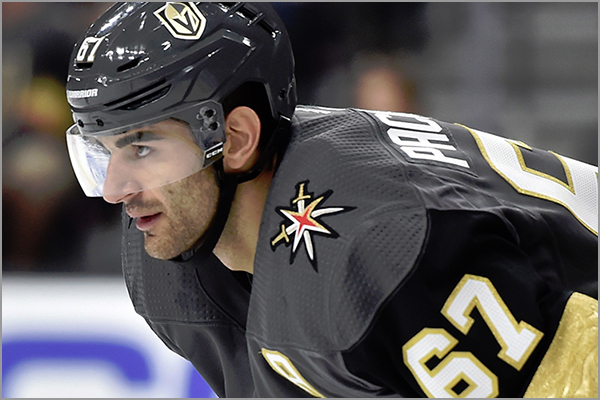 Max Pacioretty played a hockey game in Montreal on Saturday, but for the first time as a member of the visiting team. It was great to see him get a tribute video and standing ovation. In a time where a tribute video is a big deal, I like seeing players get recognized for their accomplishments. Too often we see fans that don’t welcome players back because after they left. they But we have to remember that they are people too, that have to look out for themselves and their families. So congrats to Pacioretty and to Canadiens fans for staying classy. 4. Are the Canucks For Real? 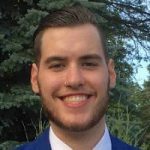 As I wrote about in my first edition of Blake’s Takes, Elias Pettersson of the Vancouver Canucks looks like a budding superstar. But I would like to amend that statement to, Elias Pettersson of the Vancouver Canucks is a superstar. 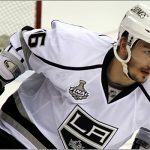 He has 17 points in 12 games this season and leads his team who, as of right now, are in first place in the Pacific Division after finishing second-to-last in the Western Conference last year. But, how does this happen? Well, Pettersson is one of the main reasons. The NHL is one of the few leagues where your best player can be a rookie making less than $1 million. We have seen it with guys like Ovechkin, Crosby, and most recently Auston Matthews. Some players get to the show and are not only ready to play, but ready to star. Pettersson is the newest example. But he is not the only guy playing well. Young studs like Bo Horvat and last year’s breakout rookie, Brock Boeser, are also having productive years. Look out for Vancouver to do some damage in the West this year. I’m excited to see how far they go. Ironically, last week wrote about how Jason Pominville was tied with Tomas Plekanec for having played career 1,001 games. Well, Plekanec will never have a chance to pass Pominville because Plekanec just announced that he has officially retired from the NHL. 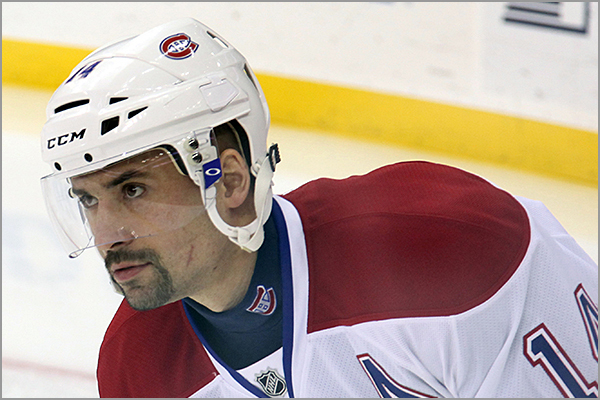 Plekanec has spent time as a healthy scratch this season and has been hurt. He and the team mutually agreed to terminate his contract, which you don’t see every day. Plekanec always put the team first, way ahead of his own needs and feelings. He captained the Czech team, not the Habs, but it’s with the Canadiens that he showed what being a team player and, ultimately a leader, is. It started when he was drafted, essentially, to become a third-line center (behind Saku Koivu and Mike Ribeiro). 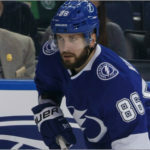 So many players graduated to the big team ahead of him in prominent roles, namely fellow center Chris Higgins, who played first-line winger for a couple of years because the Habs give their American prospects more chances than their European counterparts. Then, thanks to his amazing faceoff and passing skills and cerebral way of seeing and thinking the game, he became Alex Kovalev’s favourite center, making him the de facto #1C and showing he could be a regular point producer. So much so that the team chose to balance their lines out and have him play with bottom-of-the-barrel players while lesser centers played with the star wingers, resulting in… Pleks remaining the 50-to-65-point man he always was regardless, shutting down the opposing team’s best player sin the process. Those 2010 playoffs did have Halak’s and Cammalleri’s stamps all over them, but Crosby having a single goal and just three assists in 7 games is a feat that Plekanec has the right to share him, as he was his shadow throughout. And as the team went through rebuilding phases, coaching changes and had him play mentor to different faces all the time, “Pleky” wore the “A” on his chest, did his job and never complained. Not once. Always “glad to be here”, always “living the dream”. No captaincy in Montréal while he wore it at World Championships and in the Olympics? “No problem”. Season going in a downward spiral and the team needs to shed salary and recoup younger assets? 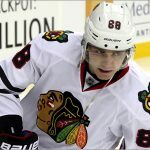 Ok, he agreed to a trade to the team’s third-biggest rivals, the Leafs. Then promptly re-signs in July, for one year, at $6M lower than he’d been paid the previous year. Four months later, when Max Domi and Jesperi Kotkaniemi pan out and look to be for real, with players coming back from injury to get the team over the 23-player limit, here he is again, making the ultimate sacrifice, instead of requesting a trade. Of course, he’s likely to go on to play in Kladno with best friend and fellow co-owner Jaromir Jagr, but he could have been useful on someone’s third line, that’s for sure. Just like fellow alternate captain Andrei Markov was the KHL’s best defenseman last year, all he wanted was to don the bleu-blanc-rouge, and nothing else. So nothing it is. Pettersson is the REAL DEAL (not to steal James Neal’s nickname). 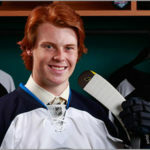 I picked him as the Calder winner in my pre-season predictions and he has yet to change my mind. I don’t know if it’s a matter of catching that proverbial “lightning in a bottle” but this combination of players in Vancouver is playing like they have nothing to lose and it’s been fun to watch so far.